A graduate of the Wake Forest University Physician Assistant Program, Grace McLaurin is a vConfidence approved provider who is dedicated to helping her patients as evidenced by her 20 years of experience practicing in the Hickory area. 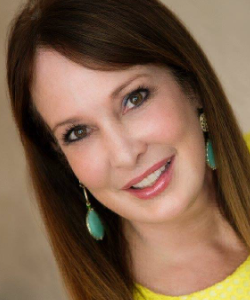 Grace has helped many patients by utilizing the vConfidence tissue regeneration process, and she is an expert in its CO2 fractional laser technology when it comes to improving the symptoms associated with urinary dysfunction, vaginal dryness, and other feminine issues. Grace brings extensive medical experience in Emergency Medicine, Internal Medicine, and Women's Health, in addition to specialty training in bio-identical hormone replacement therapy and aesthetics. Recently Grace was honored to be chosen as 1 of 30 ACE trainers to be a national trainer for Kybella, Allergan's newest injectable, and she also has been on one of the advisory boards for the launch of Voluma. Grace has employed vConfidence technology to bring about significant improvements that can be seen even after your very first treatment, with ongoing continued improvements thanks to the process of neocollagenesis or new collagen growth which addresses inadequate collagen growth in the vaginal lining. Schedule your consultation with Grace and learn more about what vConfidence can do for you.